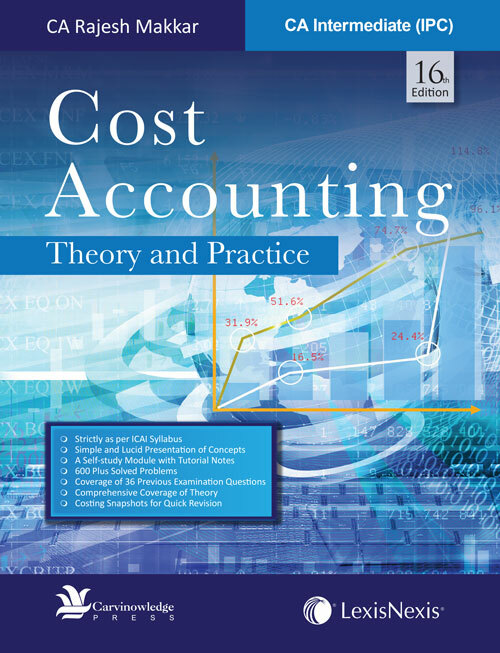 Cost Accounting: Theory and Practice is a comprehensive book explaining concepts, theories, problems and solutions relating to ‘Cost Accounting’ in a lucid and informative manner. The text strikes a balanced approach to cost accounting by including the coverage of basic cost concepts, material, labour, overheads, costing methods and techniques in use in day to day business activities. Syllabi Coverage: Comprehensive coverage of CA Intermediate (IPC) Group I Paper 3A syllabus. Chapter Analysis: Highlights the recent pattern of questions being asked in the examinations. Costing Snapshots: Incorporated in each chapter to recapitulate the concept for revision purposes. Margin Notes: Recreates some of the student-teacher interactions and provides material that is complementary to the matter contained in the text. Author’s Notes: Simplified presentation of complex concepts and problems by the author. Things to Remember Boxes: Introduce the topics to remember, revise and follow important concepts in real life. Previous Year Examination Questions: Solved questions of past 36 examinations have been covered. Glossary: A complete glossary of cost accounting concepts has been provided for quick recap of important topics.